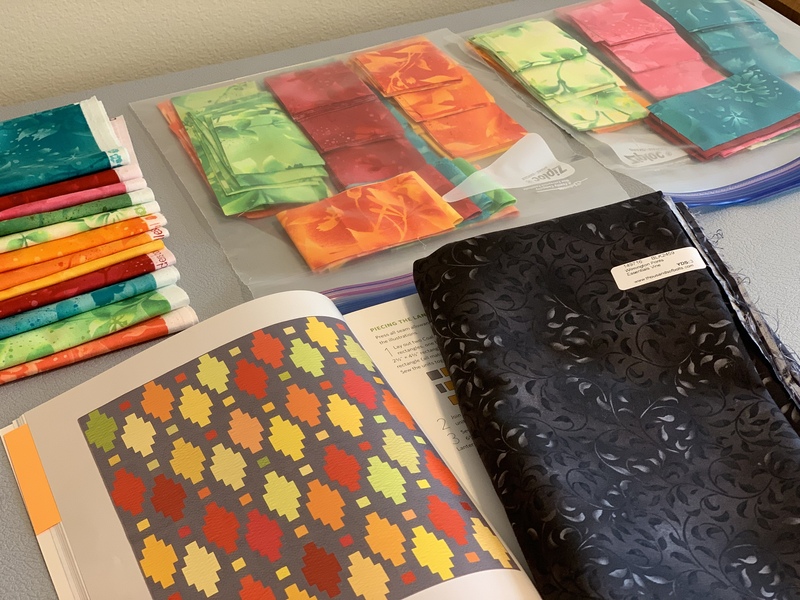 Mom and I were looking at some of my quilt books yesterday when we got home from the quilt show and she found another quilt she wanted to make so we pulled fabric from my stash and I’ve cut all the brights already for her. If we have time tomorrow I’ll cut the black but it will be a busy day – her last one here before she leaves to go home. The Lantern pattern from my book is also a free pattern found here. There are slight differences, the free pattern has a border and maybe a different number of blocks but it’s the same quilt. 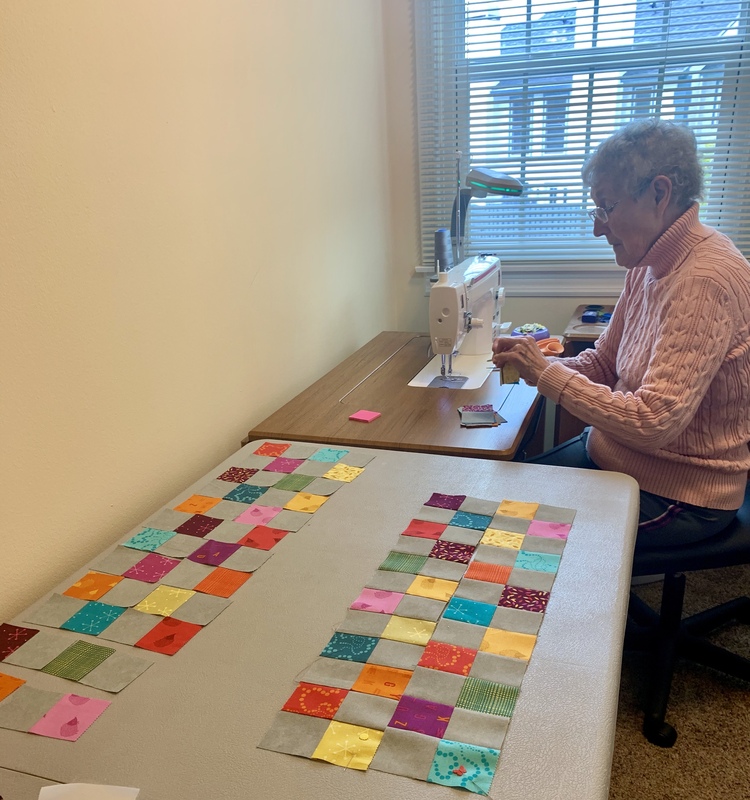 While I was cutting, Mom assembled a little doll quilt for me. I couldn’t stand to waste the leftover ends of the strip sets from my Windmill quilt. Several people asked about the iron/steamer we bought at the quilt show. I need to correct myself – it is NOT an iron. I tested it out today pressing all the fat quarters for Mom’s quilt. At first I thought I’d wasted my money but once I realized that I needed to just glide it over the fabric and not press down, it worked much better. It won’t replace my iron for piecing but it’s great for pressing fabric in preparation for cutting a quilt and I think it will be nice for pressing tops before loading them on the longarm. The lantern pattern should look very elegant with the pretty colors set in black. Good choices. The brights will look like shining lanterns on the black background fabric. 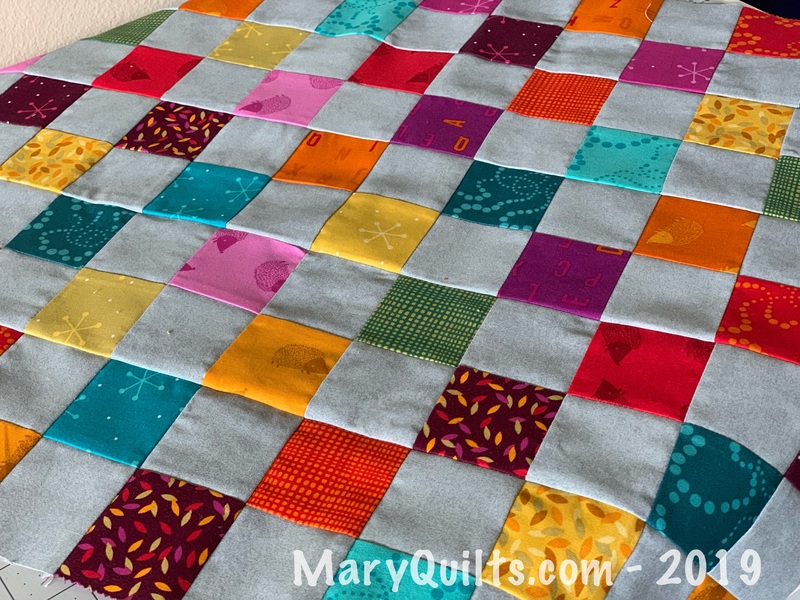 It’s fun to see how others use their scraps: the doll quilt is cute. What wonderful cooperation!! Hoping Mom has a safe trip home. I’ve so enjoyed Mom’s visit! I hate to see it end. How soon before she’ll be back again? That’s a really cute pattern. Darn. Just realized your mom has already gone home. I was going to suggest a field trip to Rainbows End in Dunedin,Fl. Have you ever been there? If not, you may want to check it out but take your lunch…You will be there all day. LOL I will say the staff is not always too helpful or friendly but the fabric………….beautiful. If you can’t find it there you probably won’t find anywhere. Busy, busy! Your mother’s piecing is perfect! I wish I had half her energy. I bet you will miss having her there. By the way, if you don’t mind me asking, where does your mother live? How did I miss this day in your blog?! I so look forward to them. Glad your mom is feeling better. 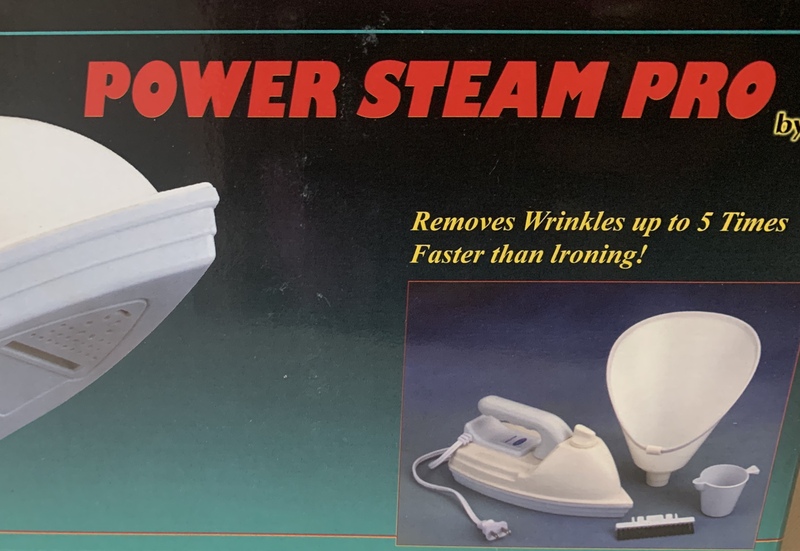 I need to look into that steamer. I did the free lantern pattern with my 2.5″scraps. A great scrap buster of long strips.